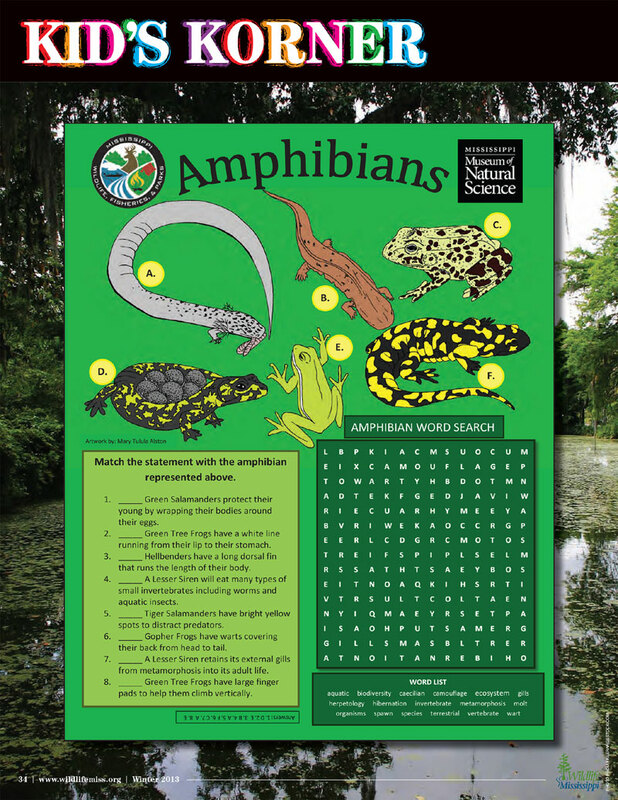 Wildlife Mississippi magazine regularly publishes wildlife-focused activity sheets for kids. They are prepared by the Mississippi Museum of Natural Science and made available here for downloading and printing. More activity sheets will be added periodically.